Alice led the discussion again this week. At the end of the session we realised that this will be the last study group for the year due to various people going away for holidays/conferences/meetings in the lead up to christmas and of course the school’s christmas party. We will resume sometime early in the new year. We first began by discussing the comments on the post on last week’s study group. Recall from last week how given a building with apartments isomorphic to the Coxeter complex , we can define the W-distance on chambers. We look again at the chamber system we obtain from the Fano plane. Let denote differ by a point and denote differ by a line. Let x be the chamber whose line is the orange line and point is the bottom left hand corner of the diagram and y be the chamber whose line is the red line and point is the top of the diagram. Then . There are four chambers which are neighbours of y. 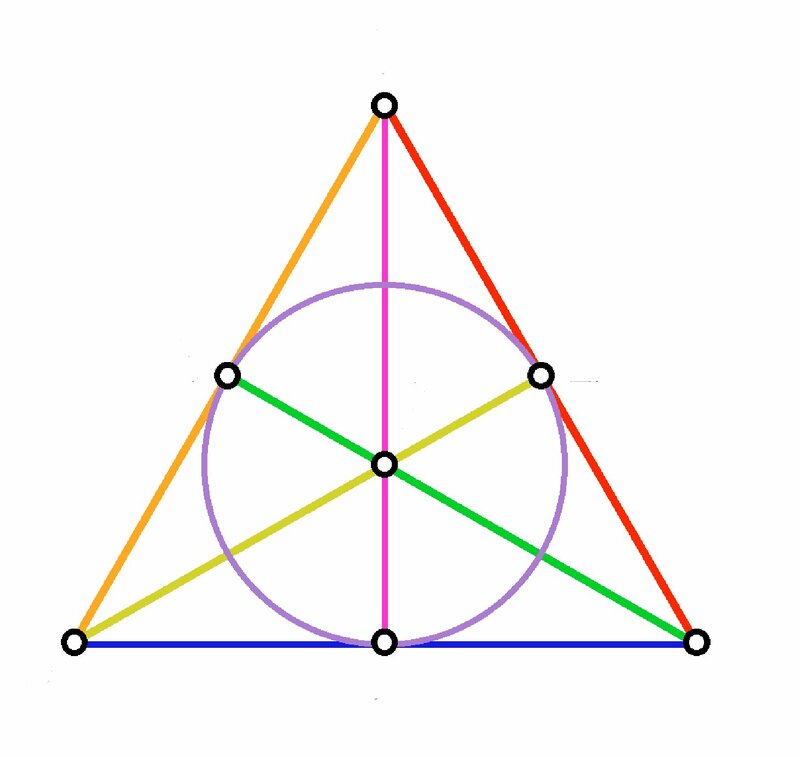 These are , which has line the red line and point the point in the middle of the line, which has line the pink line and point the top point, which has line the orange line and point the top point, and which has line the red line and point the bottom right hand corner. Then and . Also and while . Moroever, . Thus we have the property that if is a chamber such that then and if , (where is the length of a reduced expression for g in terms of elements of S), then . If is a chamber such that then and if , then . If then there exists such that and .